This is a little house on General Pershing St. in which I lived very briefly in 1999. The neighborhood was pretty rough-it’s the only place I lived where stuff was stolen out of my yard. But the big problem was the guy next to me with the iron fence that had two dogs that barked from sundown to sun up, every night. They weren’t even outside but it was enough to keep me up. I called him once in the middle of the night to let him know. He was pretty unconcerned. So I left. Funny enough, it is 2 blocks over and 2 blocks up from where our house is now. Most little cottages like this were built when a boat was decommissioned (the river is mere yards away) and it was taken apart and a neighborhood was built from its reclaimed lumber. We call these Bargewood houses, not to be confused with “Bargeboard” which is an architectural element. 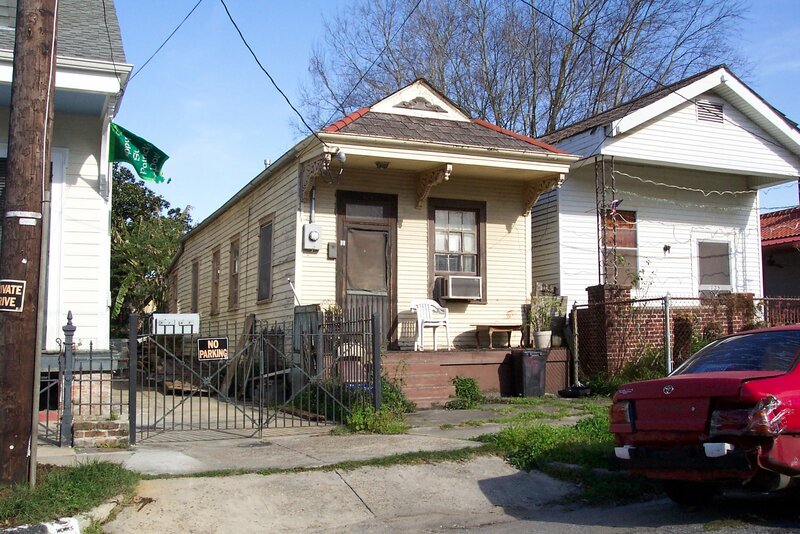 The wood was already aged and proved its strength over years of service on the river before making a sturdy little house.It was a common story in New Orleans: Dad lived in this house since before the Big War. When he died, the family thought they could earn a couple bucks from his house. But the neighborhood was already in serious decay and they were not experienced landlords. They haven’t been able to care for the structure and somehow can’t be functional in this rental market where you can ask pretty much anything you want for rent. I have no doubt that the house still has the same owners, or that they tried to borrow against it and lost it. And now it sits, empty and blighted and covered in Cat’s Claw vine. It’s a beautiful little building, built right before or after the Civil War. 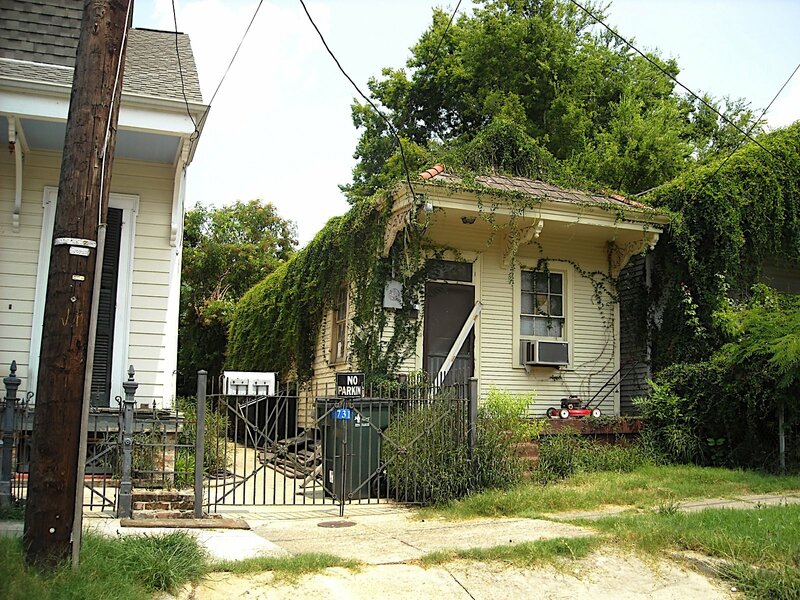 Like so many things in NOLA, it has weathered incomprehensible weather, fires, economic depression and it still stands, likely with strong bones and more or less solid foundation. It is possible it could last another 100 years- as soon as young, energetic, intelligent, upwardly-mobile people come in and invest some love (and cash). That or a hard-working legal immigrant who would consider this place a palace. If you’ve read The Chronicles of Narnia, my bride compares our last visit to this house with the scene in Prince Caspian when the Pevensie children are whisked back to Cair Paravel, now in ruins and covered in vines. OK, that might be stretching it.